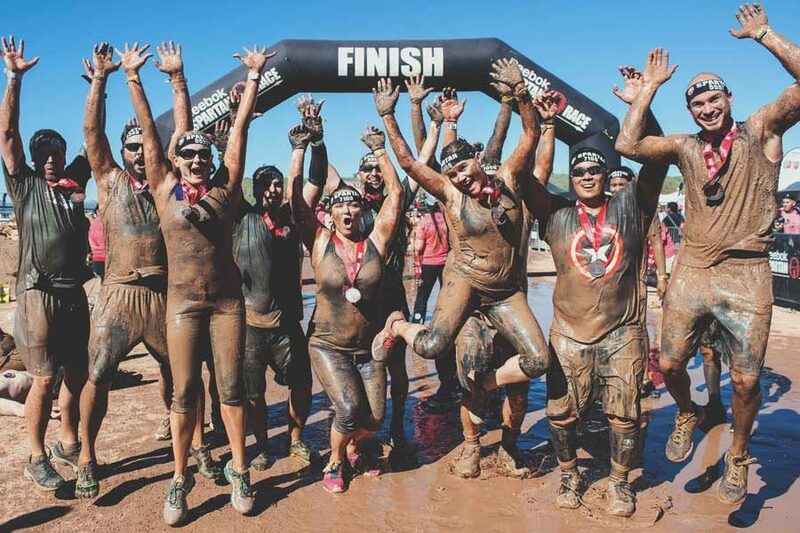 Have you signed up for The Spartan Race? Well, expect mud, mud and more mud! 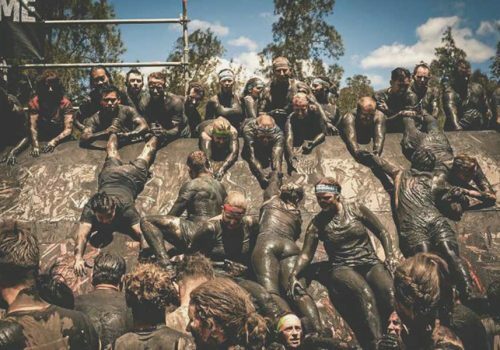 To get the insider tips for how to survive the next race, we spoke to Spartan Race Australian ambassador, Alex Georgeou, who also happens to be our expert personal trainer on URBANSWEAT. Handy. According to Alex, the Spartan Race has various race options, allowing you to choose the appropriate race level for your fitness. The ‘Spartan Sprint’ is a crowd favourite and is deemed the ‘easiest’ of the lot. It’s usually a 5 – 8km course, with around 20 – 23 obstacles (EEK). So, how does the day work? Well, Alex says that it’s an early start, with the first race commencing at around 7:30 am! “When you get there on the day, you need to make sure you sign in,” explains Alex. “Then you can watch other races while you wait for your time slot. You then have to say your ‘AROOO’ [a chant shouted by all competitors], and then you run!” So that’s all pretty straightforward, right? Nothing too scary yet. For the average person, expect to be running the ‘Sprint’ course for around 1.5 hours. The big question… how much running is actually involved? Look, we love running but if we’re covered in mud, we’re not sure how long we can run for! Luckily, Alex says: “It’s honestly optional, if you love a challenge and want to run the full course then go for it. If you’re not that way inclined then chill out with your friends and walk from obstacle to obstacle.” Phew. What if I want to skip an obstacle? So… mud, right? What do I wear? Alex advises wearing activewear that breathes well and doesn’t get bogged down by water and mud so you can have as much movement as possible while competing. However, keep in mind that there’s a possibility that the clothes you wear will end up slightly damaged [read: destroyed] so be prepared to maybe say goodbye to them on the day. What’s the situation with water? There’s a bunch of hydration stations along the route, but the best method, according to Alex, is to make sure you hydrate before and after the race. That way you won’t have to stop too many times to grab a drink. “Definitely make sure you get covers for your car seats (towels, plastic bags etc),” says Alex. “You will get muddy. 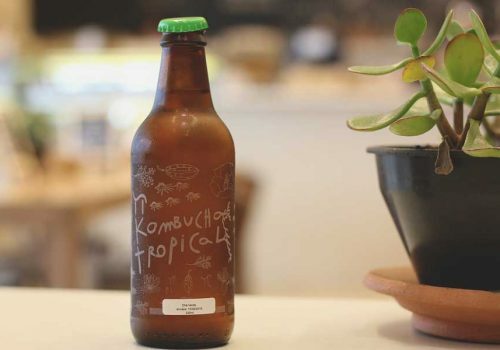 Also bring a change of clothes, some sunscreen, a few electrolyte drinks, and a sense of fun and adventure.”.Snacks, as you can probably guess, are also essential. You will get hangry. So there you have it. Seem less daunting? 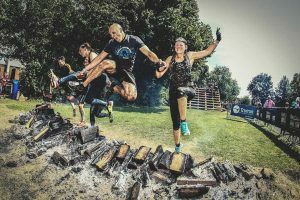 Now you know a little more of what to expect so get training and expect some mud with a side of laughter and a day of heart-pumping fitness! Want more stories like this one? Check out our WORKOUT REVIEWS section. 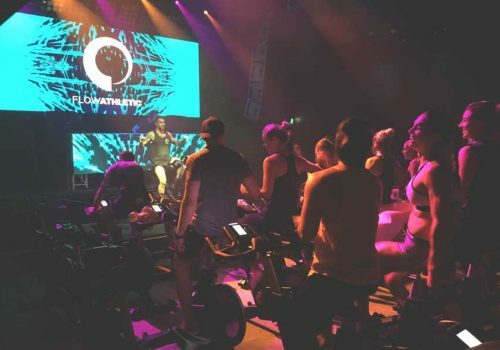 While you’re here, why not sign upto our newsletter and be the first to receive gym and class discounts, access to exclusive workouts, competitions and a whole lot of fitness information for living a healthy life in Sydney!